©2010 www.nelsoncountylife.com : A view looking south on the Blue Ridge Parkway at the intersection of Route 664 at Reed's Gap in Feburary 2010.
Who could ever forget the winter of 2009-2010? We sure haven’t! Regardless of the winter in the valley, it can be brutal up in the mountains along the Blue Ridge Parkway. So just how do you know if it’s open between the gates or not? You check our our BRP Road Report. Give it a try! Just click the play button above to listen to the report courtesy of The National Park Service. 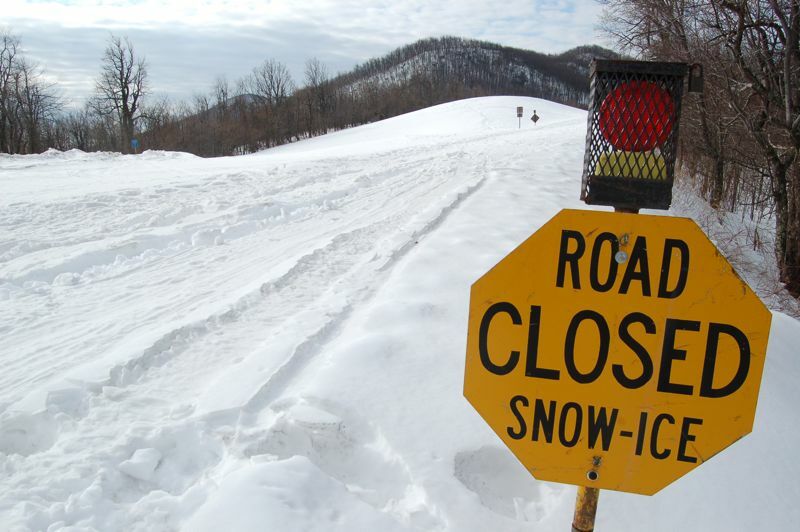 The BRP Road Report is back for the 2010-2011 winter season. it gives you the status of the parkway closings in Nelson and all of the Virginia sections of the VRP. So be sure to check out the BRP Road Report before heading up there only to find out you may go nowhere!